Jochem Willemsen is lecturer and Research Director at the Centre for Psychoanalytic Studies at the University of Essex. He studied Freudian and Lacanian psychoanalysis at Ghent University (Belgium) and at Université Rennes 2 (France). His research on psychoanalysis, psychotherapy and forensic topics is published in international scientific journals. 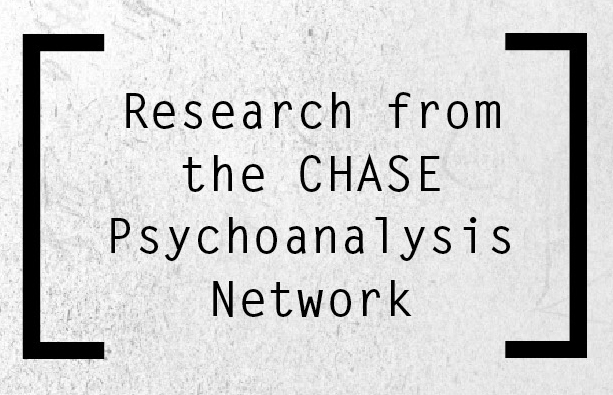 Additionally, he is co-founder of the Single Case Archive (www.singlecasearchive.com), an online archive of psychotherapy case studies for clinical, research and teaching purposes. He has been working for years as a Lacanian psychoanalytic psychotherapist in private practice. Willemsen, J., Cornelis, S., Geerardyn, F., Desmet, M., Meganck, R., Inslegers, R., Cauwe, J. (2015). Theoretical pluralism in psychoanalytic case studies. Frontiers in Psychology, 6. Willemsen, J., Inslegers, R., Meganck, R., Geerardyn, F., Desmet, M., Vanheule, S. (2015). A metasynthesis of published case studies through Lacan’s L-schema: transference in perversion. International Journal of Psychoanalysis, 96, 773-795. Goethals, K., de Groot, A., Dhoore, T., Jeandarme, I., Keulen-de Vos, M., Pouls, C., Soeagnie, S., Willemsen, J., (2015). Differentiële diagnostiek en comorbiditeit bij psychopathie en de antisociale-persoonlijkheidsstoornis. In W. Canton, D. van Beek, L. Claes, L. Gijs, I. Jeandarme, & E. Klein Haneveld (red). Handboek psychopathie en de antisociale persoonlijkheidsstoornis (pp. 315-358). Utrecht: De Tijdstroom. Verhaeghe, P., & Willemsen, J. (2015). Concurreren voor de waarheid: neoliberalisme en wetenschapsfraude. Tijdschrift over Cultuur en Criminaliteit, 5(1), 22-37. Vanheule, S., Desmet, M., Meganck, R., Inslegers, R., Willemsen, J., De Schryver, M., Devisch, I. (2014). Reliability in psychiatric diagnosis with the DSM: old wine in new barrels. Psychotherapy and Psychosomatics, 83, 313-314. Willemsen, J., Meganck, R., & Trenson, E. (2014). The impostor anticipates the truth of the Other. International Journal of Computing Anticipatory Systems, 29, 95-101. Trenson, E., Willemsen, J., & Meganck, R. (2014). The anticipation of enjoyment by the body in the case of trauma. International Journal of Computing Anticipatory Systems, 29, 87-94. Meganck, R., Trenson, E., & Willemsen, J., (2014). The dread of living without anticipation: A case of melancholia. International Journal of Computing Anticipatory Systems, 29, 103-108. Desmet, M., Meganck, R., Seybert, C., Willemsen, J., Geerardyn, F., Declercq, F., Inslegers, R., Trenson, E., Vanheule, S., Kirshner, L., Schindler, I., & Kächele, H. (2013).Psychoanalytic Single Cases Published in ISI-Ranked Journals: The Construction of an Online Archive. Psychotherapy and Psychosomatics, 82, 120-121. Willemsen, J. & Verhaeghe, P. (2012). Psychopathy and internalizing psychopathology. International Journal of Law and Psychiatry, 35, 269-275. Willemsen, J., De Ganck, J., Verhaeghe, P. (2012). Psychopathy, traumatic exposure, and lifetime posttraumatic stress. International Journal of Offender Therapy and Comparative Criminology, 56, 505-524. Declercq, F., Willemsen, J., Audenaert, K., Verhaeghe, P. (2012). Psychopathy and predatory violence in homicide, violent, and sexual offences: Factor and facet relations. Legal and Criminological Psychology, 17, 59-74. Willemsen, J. (2012). Over ketellogica en het herroepen van de Wet: een psychoanalytisch perspectief op psychopathie. Psychoanalytische Perspectieven, 30, p. 185-200. Willemsen, J., Vanheule, S., Verhaeghe, P. (2011). Psychopathy and lifetime experiences of depression. Criminal Behaviour and Mental Health, 21, 279-294. Willemsen, J., Markey, S., Declercq, F., & Vanheule, S. (2011). Negative emotionality in a large community sample of adolescents: The factor structure and measurement invariance of the short version of the Depression Anxiety Stress Scales (DASS-21). Stress and Health, 27, e120-e128. Willemsen, J. & Verhaeghe, P. (2009). When psychoanalysis meets Law and Evil: perversion and psychopathy in the forensic clinic. In A. Hirvonen & J. Porttikivi (Eds. ), Law and evil: Philosophy, politics, psychoanalysis (pp. 237-259). Abingdon: Routledge. Willemsen, J., Dula, C. S., Declercq, F., & Verhaeghe, P. (2008). The Dula Dangerous Driving Index: An investigation of reliability and validity across cultures. Accident, Analysis and Prevention, 40, 798-806. Willemsen, J. (2008). Psychose en criminaliteit. In: Declercq F. (red.). Seksuele, geweld- en levensdelicten. Psychopathologie van daders. Leuven: Acco, pp. 199-233. Willemsen, J., Declercq, F., Markey, S., & Verhaeghe, P. (2007). The role of affect regulation in a case of attempted maternal filicide-suicide. Clinical Social Work Journal, 35, 215-221. Declercq, F., Vanheule, S., Markey, S., & Willemsen, J. (2007). Posttraumatic Distress and the various effects of social support in security guards. Journal of Clinical Psychology, 63, 1239-1246. Declercq, F., & Willemsen, J. (2006). Distress and post traumatic stress disorders in high risk professionals: Adult attachment style and the dimensions of anxiety and avoidance.Clinical Psychology and Psychotherapy, 13, 256-263. Willemsen, J., Declercq, F., Dautzenberg, M. (2006) Het effect van alternatieve gerechtelijke maatregelen. Antwerpen: Maklu. Willemsen, J. (2004). De herhaling bij de psychose, een theoretisch vraagstuk. Psychoanalytische Perspectieven, 22, 1, 77-87.